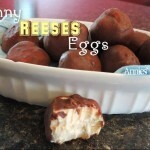 Yummy and only 3 carbs per egg! Author: Adapted from The Low Carb Dish! For the peanut butter mixture: Combine first five ingredients and mix well. Refrigerate 2 hours or until firm enough to roll out into eggs. Freeze eggs while preparing chocolate. For the chocolate coating: Mix remaining six ingredients together with a whisk. 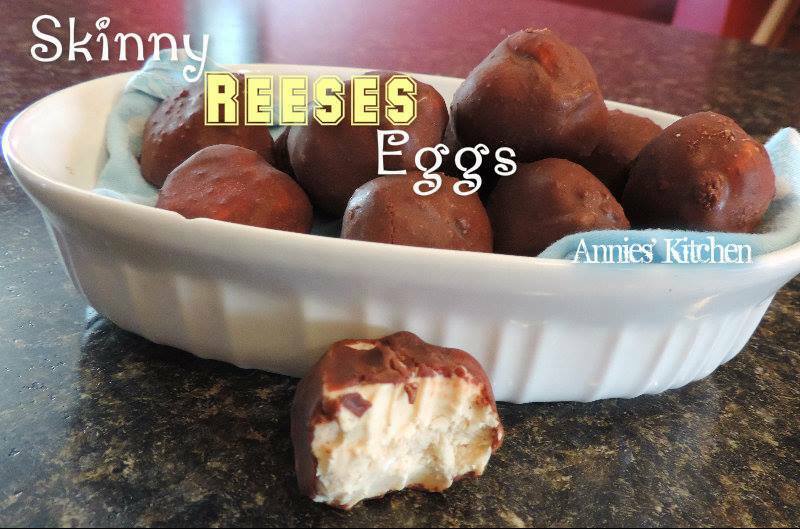 Dip frozen peanut butter eggs in to cover. I double dipped the eggs. Optional: To the leftover chocolate dip, I add 2 Tbsp peanut butter, ½ cup chopped nut and poured it into chocolate molds mmmmmm! !